The release of the Netflix Orginal film Mascots has been eagerly awaited by fans of comedy giant Christopher Guest, who have been hoping for another classic in the tradition of Waiting For Huffman or Best In Show. The bad news is it's nowhere near that good. The good news is it still provides some solid laughs, at least until it largely runs out of steam in the second half. 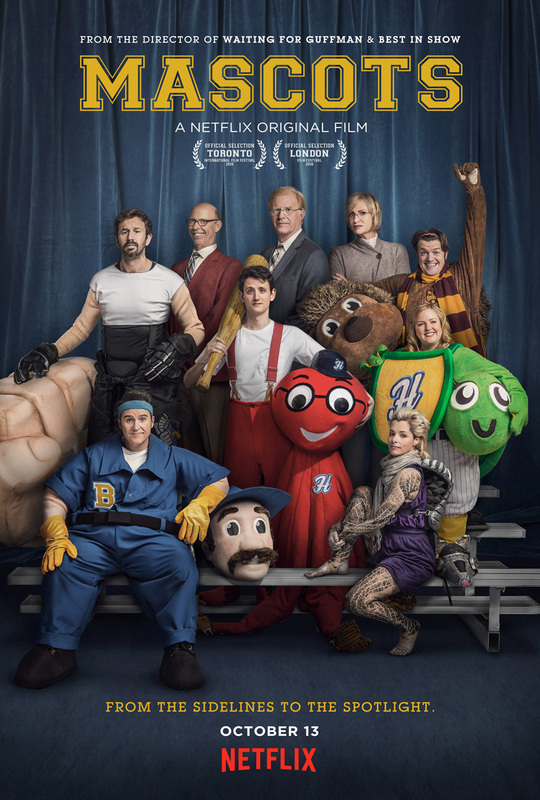 Like Guest's earlier films, Mascots is a mockumentary which tells the story of a little world of its own, in this case the world of college and professional mascots. The mascots are gathering for the world mascot competition, and as usual we're introduced to a cast of quirky characters gathered together to pursue a dream, building toward a climactic show. And that's part of the problem: Mascots is rigidly formulaic, and the nearly 20 year old formula has worn a bit thin. Another problem is that Guest's films have alays relied on his top-notch cast of recurring players, and too few of them have returned for the latest go-round, with Eugene Levy, Catherine O'Hara and Michael McKean missing entirely, and sadly none of the longtime ensemble members who do appear really hit the mark, either due to under use (Bob Balaban, John Michael Higgins) or their same old shtick becoming tired (Parker Posey). This is particularly disappointing in the case of Fred Willard and Guest himself. Willard was a highlight in the earlier films, managing to steal Best In Show, but here he only gets a couple of small laughs as mascot coach Greg Gammons, who dispenses bad advice to some of the contestants. And Guest's brief return as Waiting For Guffman's Corky St. Clair (who has become something of a patron saint in the world of community theatre) is a huge moment for fans, but one which is remarkably short on laughs for being such a legendary and iconic character. The only standbys who really work here are Michael Hitchcock and Don Lake, this time as the producer and sponsor of the event, respectively. The new cast members are a mixed bag: Zach Woods (who appeared as weasally Gabe Lewis in the later seasons of the American version of The Office) fits very well into Guest's world, and provides solid laughs early on, but eventually his character Mike Murray and his wife Mindy (Sarah Baker) become so nasty and unlikable that it's no fun to watch them. Faring much better are Tom Bennett and co-writer Jim Piddock as Owen Golly Jr and Sr, who both have held the mantle of British mascot Sid the Hedgehog. Bennett and Piddock are not only two of the more consistently funny characters, they also provide the film with its only real dose of heart and are the characters we root for, bringing the film back on track in the climactic sequence after it's largely worn out it's welcome. Mascots is seriously disappointing, but it's not terrible. The first half of the film is consistently pretty funny, if not uproariously so. But there comes a point when we realize we just don't care about most of the characters this time around, and that's largely because the film lacks the affection for them that Guest's earlier works had for the oddballs who populated them. As outrageous and cringe worthy as they were, somehow there was feeling that Guest and his ensemble loved them, and that kept things from feeling too mean-spirited. Unfortunately, that's mostly missing here, and at times the whole things feels off putting in its attitude. 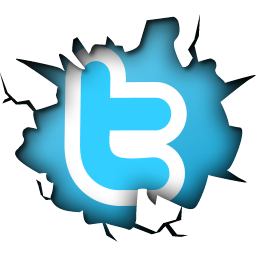 It's still a must see for Guest's fans, and does provide its small pleasures. But there are no songs to hum this time and we won't be quoting the dialogue for years to come like we do with Guest's classics.